In the northern reaches of the Bayfield peninsula, the arts are thriving. Take in some live theater at StageNorth located in Washburn or audition for a role! Whether you’re interested in music, galleries, or a casual beverage while listening to your favorite band, the Washburn and the Chequamegon Bay has something for you. 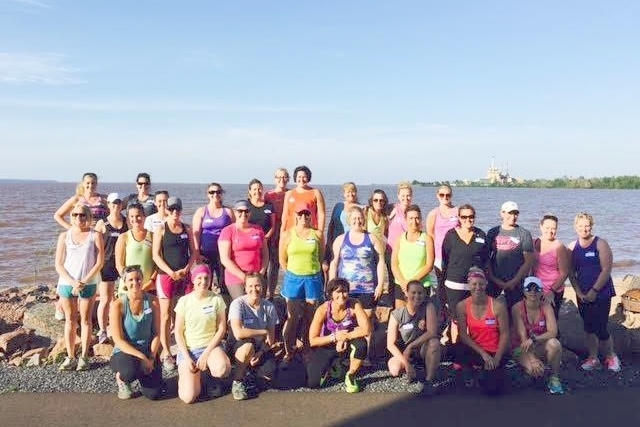 Chequamegon Bay is an active and effervescent community that is home to a triathlon, duathlon, swimming, paddle boarding, and several 5K races. Runner's World ranked our Whistlestop Marathon and Half-Marathon #20 in the nation and it's a wonderful community supported event that many area residents train or volunteer for. We know we’re special here. But it’s also nice to hear it from others. Bayfield made the list of the Smithsonian’s 20 Best Small Towns to Visit in 2015. This small town of under 500 people has everything to offer with wineries, galleries, berry farms and apple orchards to tour, kayak tours, and a route for intrepid “ice bikers”. Not to mention Applefest. The region has an active and thriving Young Professionals group. Get to know your peers while attending regular outings in and around the Chequamegon Bay. Some activities has included: social mixers, trivia competitions, movie nights, and more! The health care industry remains vibrant and is one of our largest employers. In 2016 we celebrated a major elevation in our already top-notch care with the opening of the Northwest Wisconsin Cancer Center (NWCC) in Ashland. NWCC is the result of a collaboration between two of our healthcare organizations, Memorial Medical Center and Essentia Health, working together to provide expanded services and higher quality care for area citizens. Nestled in Bayfield is a 900-seat, all-canvas, state-of-the-art tent theater called Lake Superior Big Top Chautauqua. Big Top Chautauqua is nestled at the base of Mt. Ashwabay Ski Hill, 3 miles south of Bayfield, Wisconsin, overlooking Lake Superior and the Apostle Islands National Lakeshore. Their summer schedule includes performances by renowned national, regional and touring musicians and runs from mid-June to early September. When you subtract what we don't have--long commutes in heavy traffic and stress levels that are off the charts, and add what we do have--beautiful vistas, clear skies, clean air and water, you'll decide it's a great time to come live in the Chequamegon Bay.